I know that [the Yankees are] all in every year trying to win a championship. Especially at this stage of my career, that’s a big motivating factor. That was big. Happ was the Yankees best pitcher after coming over in July at the deadline, and he believes he has only benefitted in the offseason getting to know the team and the organization. The expectation is that he will provide better than average middle of the rotation pitching to bolster an already impressive starting staff. has situated himself in a grouping of above-average MLB starters and is certainly better than most teams will slot as its third (or fourth) starter. As such, it is more than reasonable to believe haps will produce to the level expected of his place (potentially above it) on the rotation’s depth chart. It is certain that Happ is all in with the Yankees and that his reporting to camp early shows the level of dedication to putting in the work that he has. The Yankees’ expectation for Happ, according to Chris Carelli, is that he will fortify the middle of the rotation for the next few years and then bolster the back end when he hits his age 38 seasons. 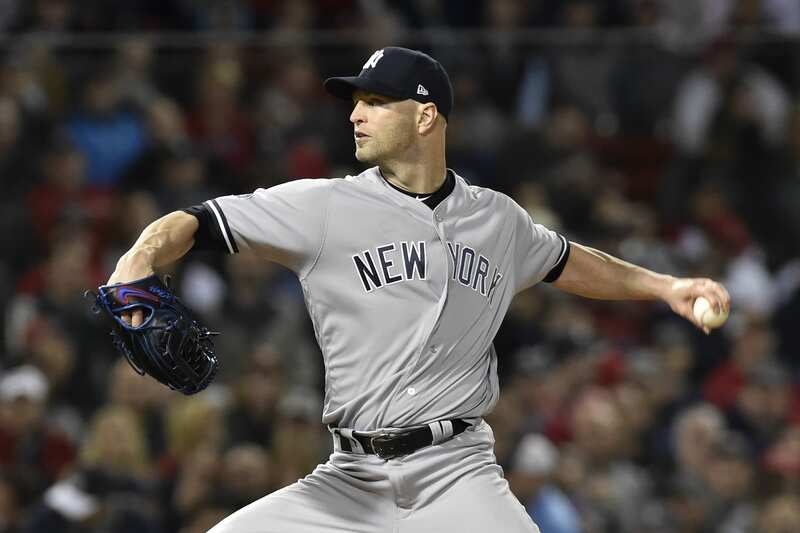 Happ went 7-0 with the Yankees with a 2.69 ERA in 11 starts in ’18, but for an unfortunate showing in the American League Division Series against the Boston Red Sox, Happ’s performance down the stretch would have received more recognition. Steamer projects Happ for 168 innings pitched, an 11-9 record with a 4.1 ERA and such a year would be considered a success for Happ, who has an innings pitched incentive bonus that kicks after 27 games or 165 innings pitched. I don’t think it’s the incentives and the bonus that motivate a guy like Happ at this stage in his career, I believe it’s the desire to win and to win a championship. What better way to succeed in ’19 than in pinstripes with the team that has been assembled this offseason?